"Our Mission: To preserve and enhance property values while serving both individual owner interests and the common good." Chris and his wife Andrea came to Crested Butte in 2003 and moved into their Wildhorse home in October, 2008. They run Pilot Consulting, a business consulting and training company with 30 years experience serving corporations world-wide in the areas of change management, merger & acquisition integration, and leadership/executive education. Current clients include Kimberly Clark, Alacer Gold, Rio Tinto, Anglo American and Cisco (for more information: www.pilotconsulting.com). Chris and Andrea are the first residents to primarily live-year round at Wildhorse, also having an office/residence in downtown Denver. They enjoy many outdoor activities and are the proud parents of their first son Allen Joseph. John and Rhonda fell in love with Wildhorse and purchased their home in 2015. John graduated from Princeton University in 1981with a concentration in Shakespeare and from SMU School of Law with a JD in 1984. He has been in the private practice of law in his own firm for over 25 years now, in San Antonio focusing on transactional work. He and Rhonda have been married for 33 years, and have two daughters, Blakely 29 and Madeline 27, and a son Robert 24. John and Rhonda enjoy Crested Butte winters but love the beautiful summers and try to spend most of the summer months at Wildhorse. When he can get away from his practice, John enjoys, fishing, golf, tennis and hiking. They have two golden retrievers, Lily and Samson, who also love their time in Crested Butte. Matt Boisen has lived in Montrose, Colorado since 2008. Before moving to Montrose, Matt served as a Peace Corps volunteer in Guatemala from 2002-2004. After completing his Peace Corps service, Matt subsequently became the country director in Guatemala of a non-for-profit organization. He spent an additional four years coordinating community development, disaster relief, health education, and medical/ surgical aid. For his extensive work during those years, Matt was awarded the “Orden de Quetzal” by the President of Guatemala. Matt has a bachelors degree from Iowa State in wood science and forestry and was the general manager of Forest Classic Log Homes in Montrose prior to starting his own contracting business. Matt and his wife Dorcha have been property owners in Wildhorse since 2010. Matt, Dorcha, and their two daughters Luella Trout and Billie Dourado are in Crested Butte every chance they get. Bob sold his Trading Company in 2010 and at the end of 2011 he migrated over full time running a private investment company. 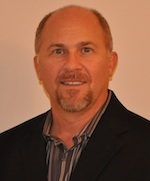 Bob has over 20 years experience in Power System Operations and 17 years in Energy trading. Bob is on the Board of the AVANCE foundation and for the past 5 years he served as a judge for the Rice Business plan Competition. Bob and his wife Medik reside in Houston and have 4 children and 4 grandchildren. Joey and kathy have been coming to Crested Butte for more than 20 years, finally settling in Wildhorse in 2010. Joey graduated from Oklahoma State University in 1980 with a degree in General Agriculture and from Oklahoma City University with a law degree in 1983. He has been in the private practice of law in his own firm for over 32 years now, in Oklahoma City focusing on Plaintiffs trial work. He and Kathy have been married for 35 years, have two daughters, Meghan 28yrs and Ashleigh 22 yrs. They all love and enjoy the outdoors both winter and especially summer. They keep hunter jumper/show horses at home in Edmond Oklahoma which Kathy shows on a regular basis. When not helping Kathy with the horses Joey focuses on archery hunting Elk and deer in New Mexico and Kansas. Terry is the President and owner of Louisiana Insurance Services, Inc. a multi-line property, casualty and life independent insurance agency, located in Ruston, Louisiana. Terry and Donna have been married for 44 years and have three children and five grand children. They both attended Louisiana Tech University and LSU. Terry and Donna enjoy family, fly-fishing, hiking and Terry plays golf. They have been owners in Wildhorse since 2007. George is president and owner of Arkla Taylor Inc., and equipment Dealer for Large forklifts operating in Louisiana, Arkansas, Texas, Oklahoma, and Missouri, with corporate offices in Ruston,La. George and Callie have been married for 47 years and have two daughters and two grand children. George has a BS degree in Industrial Engineering from Auburn. George is an avid hunter, fisherman, tennis player and snow skier. George and Callie bought their home in Wildhorse in 2006. Paul is retired and serves on two non-profit boards, He chairs the board of Marin General Hospital an independent community hospital in Marin County California. He also is a member of the board of Aprovecho, a non-profit dedicated to organic farming, sustainable building and natural permaculture practices. He consults part-time and invests in sustainable businesses. Paul was an Executive Vice President at McKesson Corporation, a $125 billion pharmaceutical distribution and healthcare software company, from 2001 until 2008. From 2005 to 2009, he was a member of the board of the clothing retailer, Eddie Bauer. Paul was also a Vice President of Human Resources at Warner Lambert Corporation as well as the Whirlpool Corporation. Paul has been married for 45 years to Mary Alice Kirincic. They have raised four daughters and are grandparents to six granddaughters and a grandson. Paul is a graduate of St. Norbert College and earned an MSBA from Indiana University. They reside in San Geronimo, California. Jim Wickham was born in Dallas, graduated from Texas Tech University in 1965 with a landscape architecture degree. In 1977, he started Wickham Supply, Inc., a wholesale irrigation distributorship, selling irrigation equipment across Texas. He sold his business in 2007 to a public company on the NASDAQ. Jim and his wife Sandra have been married for 50 years and have two daughters, Kara and Jana Paul, and four grandchildren. The family enjoy summers, falls, holidays and spring breaks at Wildhorse since 2010. 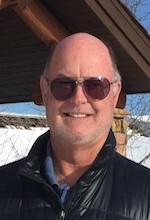 Jim is an avid golfer currently enjoying the courses at his homes in Texas and especially in Crested Butte, Colorado.